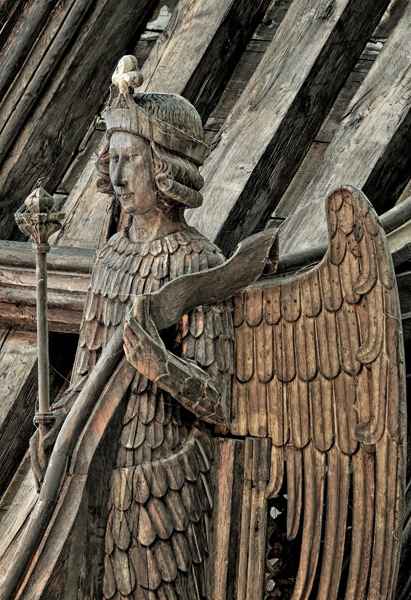 Angel Roofs are often described as one of the unseen masterpieces of the middle ages. 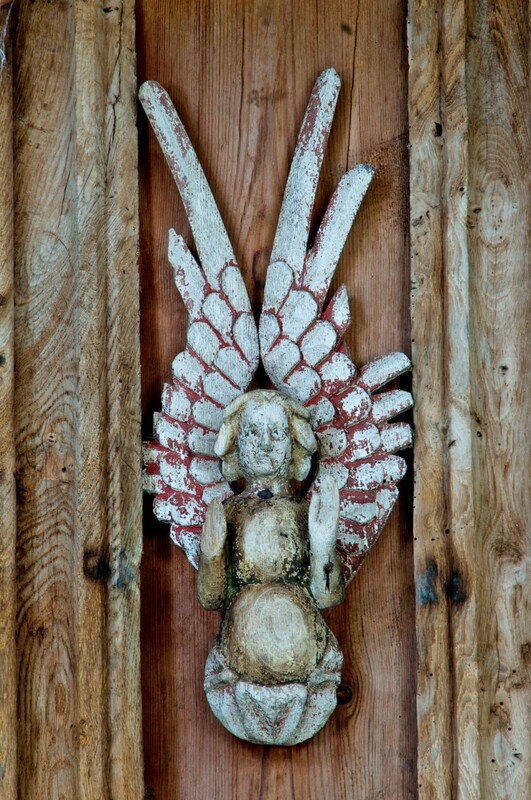 Unseen precisely because they lie far above our heads and are difficult to see but thanks to Michael Rimmer we have a wonderful photographic record of many of these exceptionally crafted roofs and especially the angels that adorn them. Michael has kindly allowed us to feature his photographs of our roof here in Harpley but do look at his web site www.angelroofs.com to see and read more. The photographs are astounding. 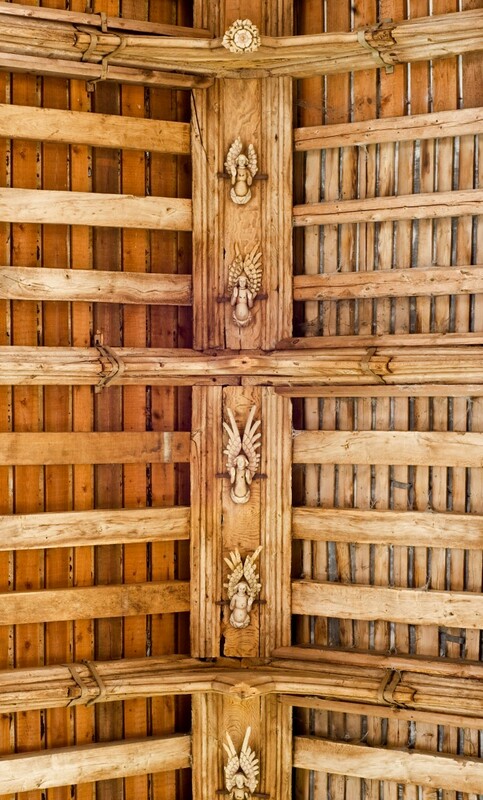 The angel roof demonstrates the exceptional craftsmanship and sophistication of English carpenters betwen 1395 - 1530, when several hundred were built, often combined with hammerbeam roofs as well. Over 140 survive and these are mostly found in East Anglia. This was, after all, one of the richest parts of the country at that time and they did everything with panache. All the roofs are adorned with carved angels and, elsewhere, some can be 8ft tall, others half body and some low relief carvings. Being so far up, and out of reach, many survived the destruction in the Protestant revolution of the 1540's and remain to this day, masterpieces of art and engineering. The bishop bench ends did not survive the destruction by these iconoclasts. Next time you are in Harpley, look high above you and if possible take some binoculars. All photographs on this page are © Michael Rimmer 2015. Michael studied classics at Oxford University before becoming an investment manager and photographer. 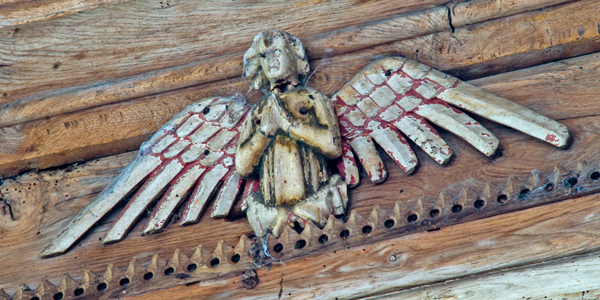 In 2010 he set out to create the first comprehensive photographic record of every angel roof in East Anglia. He lives in Norfolk and lectures regularly on angel roofs. The picture opposite is the archangel, a particular favourite of Michael's, from the roof of St Mary, Bury St Edmunds (c. 1445).